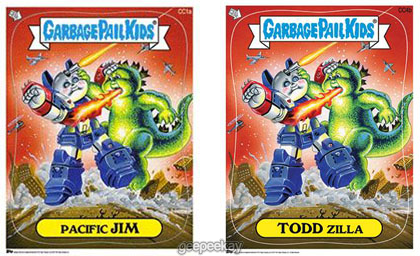 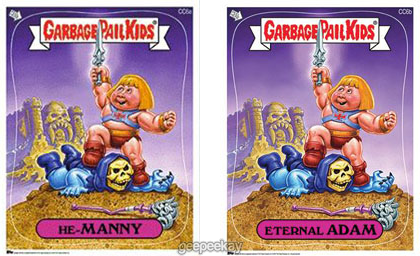 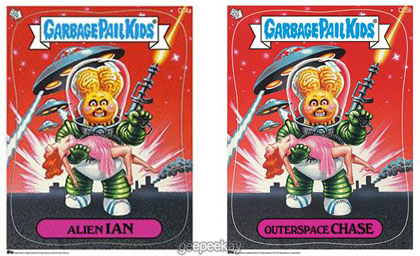 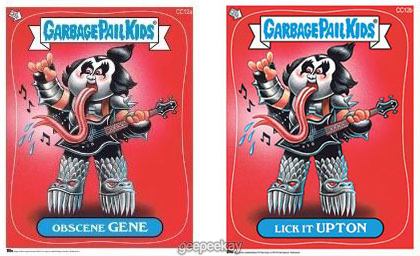 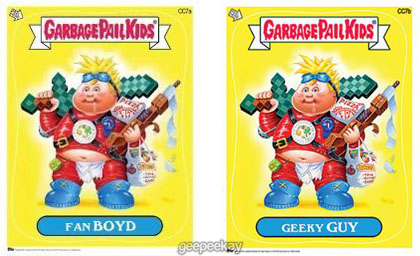 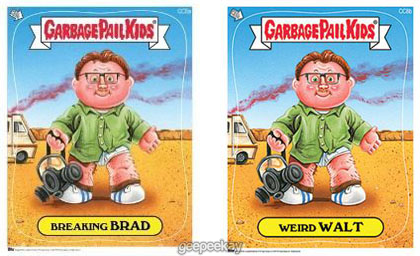 For something that didn't exist as a GPK collectible prior to 2014, there certainly are a lot to collect now! 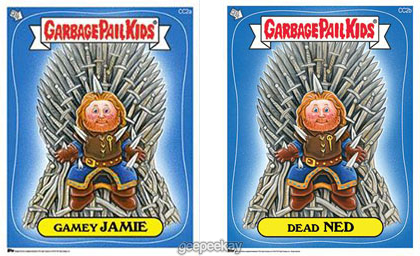 Jumbo Cards debuted at Wizard World, and later became a huge hit at SDCC, NYCC, and more! 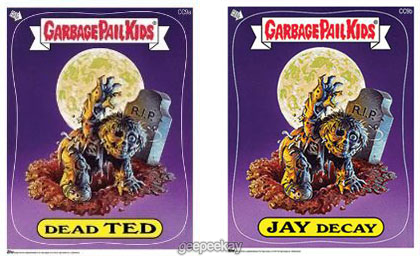 Measuring 11" x 17", these Jumbo Cards (not stickers) provided a breath of fresh air for collectors amidst a rash of Series releases, etc. 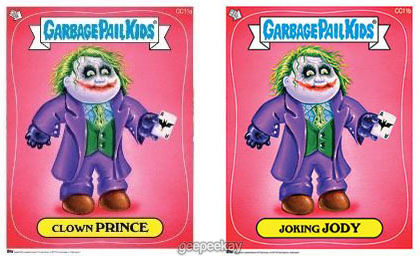 These cards were split between Comic Con releases and online exclusives, and due to their rarity (Example: online variations limited to 500 sets) they ended up being some of the most sought-after products of 2014! 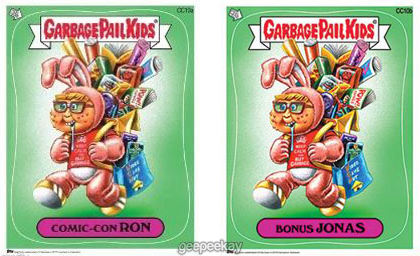 Looking back, perhaps it was good ol' Volt RON that started this jumbo-frenzy as he was the FIRST of the Jumbo Cards to hit the scene. 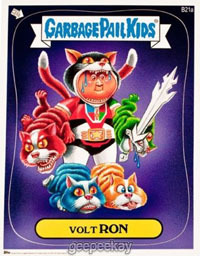 Originally just a Bonus Card for BNS3 this fantastic Brent Engstrom artwork eventually ended up being distributed as an exclusive 11" x 17" card at Wizard World 2014. 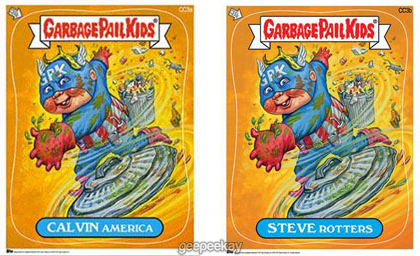 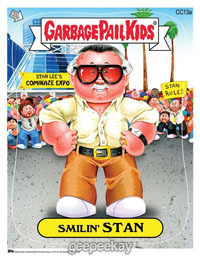 And not to be outdone, less than a year later, the comic icon Stan Lee found himself being immortalized in a brand new GPK Jumbo Card Smilin' STAN...distributed exclusively at the Comikaze Expo (note: there was also a Promo Card of this image (P4) distributed at the same Expo).